Revive your skin with the sumptuous and innovative GUERLAIN Abeille Royale collection. 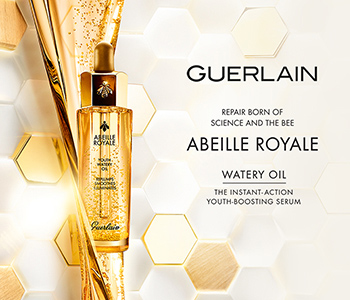 Thanks to extensive research into bees and the reparative care of honey, GUERLAIN has created a skincare range that will effectively target signs of ageing such as wrinkles, fine lines, loss of elasticity and dullness. These luxurious formulations will perfect skin by restoring radiance, reducing wrinkles and minimising the appearance of pores.